I must admit that I was rather skeptical when I went to see this movie. For one, I am not a huge fan of Tom Cruise, because I feel like he has been playing the same character in almost all of his last movies. Also, as far as science fiction movies go, Hollywood hadn’t had a particularly good track record in the past ten years or so. I mean, seriously, name at least one really good sci-fi movie from the past decade that is not a remake? I can’t. 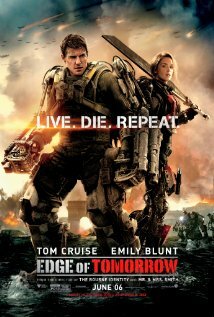 Anyway, I went to the movies not really expecting much from the Edge of Tomorrow. The kids wanted to see it, so I was just resigned to spend a couple hours enjoying the popcorn and the special effects and banging my head on the front sit at all the plot holes and inconsistencies. Boy, was I wrong. I absolutely LOVED that movie. It had me hooked and at the edge of my sit from the very start. William Cage (Tom Cruise) is sent into battle, quite against his will, as part of a major military operation against a race of aliens called Mimics. His regiment lands on a beach in Normandy only to discover that the Mimics are waiting for them. The soldiers are desperately outnumbered and outmatched, and are getting slaughtered. Cage manages to kill a Mimic by blowing it up with a pack of explosives, but he dies in the process as well… only to wake up again at the beginning of the same day. From now on and during the whole length of the movie, Cage will be caught in this time loop when he is forced to relive the day of the assault over and over again, returning to the beginning every time he dies. He remembers every single time he dies as well, but nobody else does. Live. Die. Repeat, as the movie poster says. To my own surprise, I really liked Tom Cruise as William Cage. He does a very good job showing his character’s growth from this spineless coward tossed into battle against his will to a war-weary veteran willing to sacrifice himself in order to secure the victory humanity so desperately needs. The transformation is progressive and believable. You can see how the fact that Cage is forced to relive the same day over and over forces him to change. I also loved Emily Blunt as Rita Vrataski. 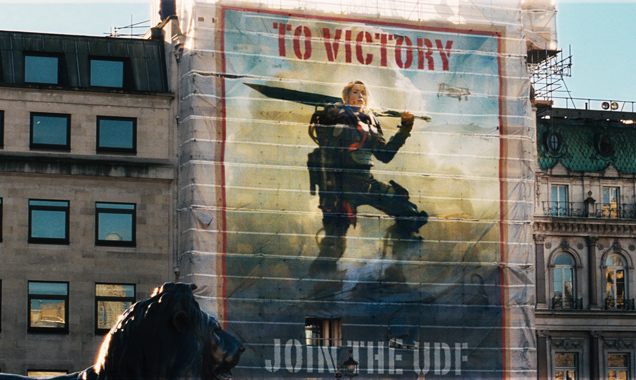 Rita is a strong woman and a true soldier, and she understands exactly what Cage is going through because she had been caught in a time loop of her own as well at a previous battle in Verdun. Only she lost that ability after that battle, so now she can’t reset the day anymore and doesn’t remember when it repeats. It’s nice to see how their relationship grows from reset to reset, how Cage come to progressively care about Rita. And I loved the fact that Tom Cruise manages to convey that attachment with minimal pathos. There is an episode where they are in a car and Cage asks Rita about a name she told him during their previous reset. Rita doesn’t want to talk about it, but when pressed, says that he was a friend, even more than a friend, and that she had to watch him die 360 times. And she remembers every single one of them. She also says that Cage wouldn’t understand. Cage doesn’t say a word, but the look he gives her at that moment is so full of different emotions – love, fear, grief, loss, tenderness. Big kudos to Tom Cruise for managing to convey all that with just one look. I liked the fact that this movie had the right mixture of action, drama and humor and almost no pathos at all. And without those long-felt monologues and patriotic speeches, the impact of what’s happening on the screen is even more visceral. Even the ending is exactly like it should be – no words, no “they kissed and rode into the sunset together.” It ends with a smile and endless possibilities. So to sum it up, this is one of the best science fiction movies I have seen in a long time. If you haven’t seen it yet, go see it now! I also discovered that it’s based on All You Need is Kill by Hiroshi Sakurazaka, so now I’m definitely going to read the book as well. Previous PostWhy I love reading fanfiction and why I can’t write it.Next PostOf Broken Things – a #luckyseven snippet. That’s true, but then again he also felt the power leave him on that hospital bed, so it could be plausible.